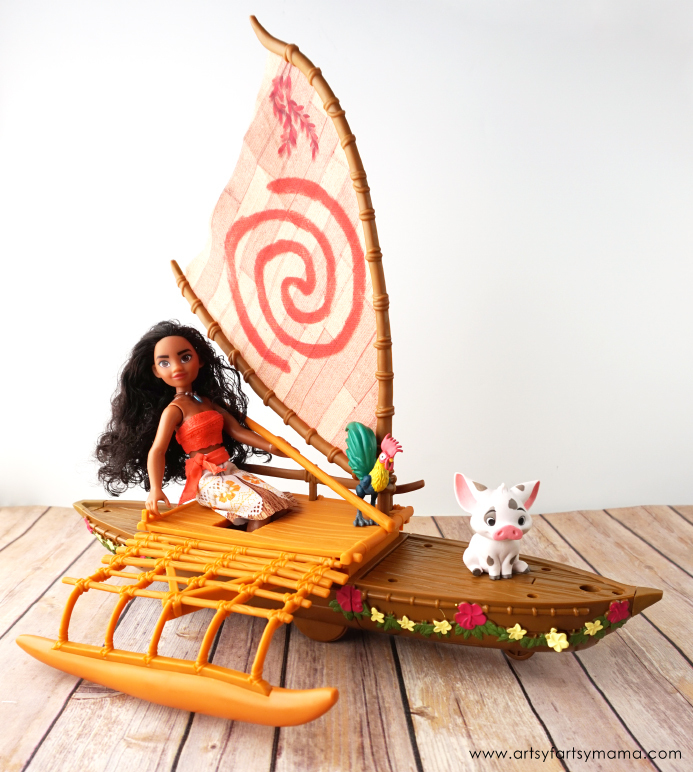 Reenact your favorite scenes from Disney's Moana with this Disney Moana Starlight Canoe and Friends play set! Have you gotten to see Disney's Moana yet? In case you haven't noticed, we are completely infatuated with this movie. It's such a sweet story and the characters are some of my top favorites. 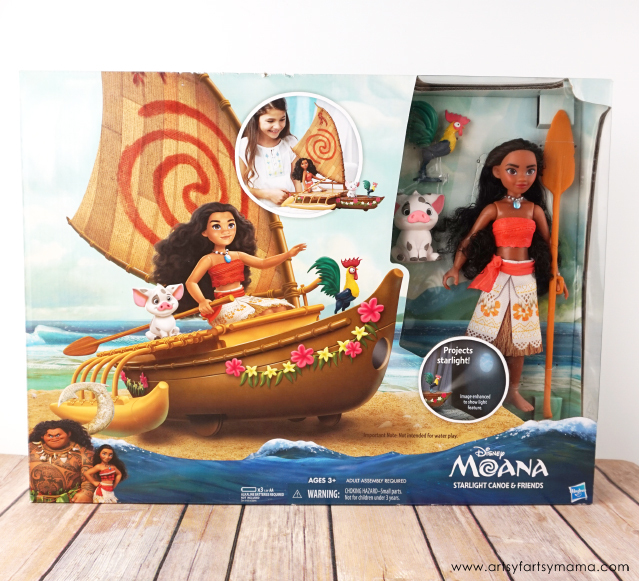 This Disney Moana Starlight Canoe and Friends set from Hasbro is one that kids will love and has a ton of features that will make playtime an ocean of fun! Since this set is geared for kids, it only makes sense that my daughter helped me with a video review! 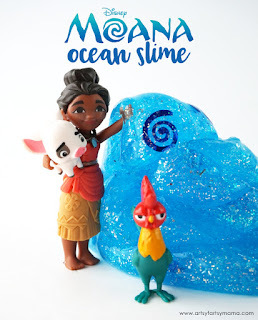 Check out her latest video and see what she thinks of Moana Starlight Canoe and Friends! Recommended for ages 3+, this set comes with everything you need to recreate scenes from the movie and to make up adventures of your own. 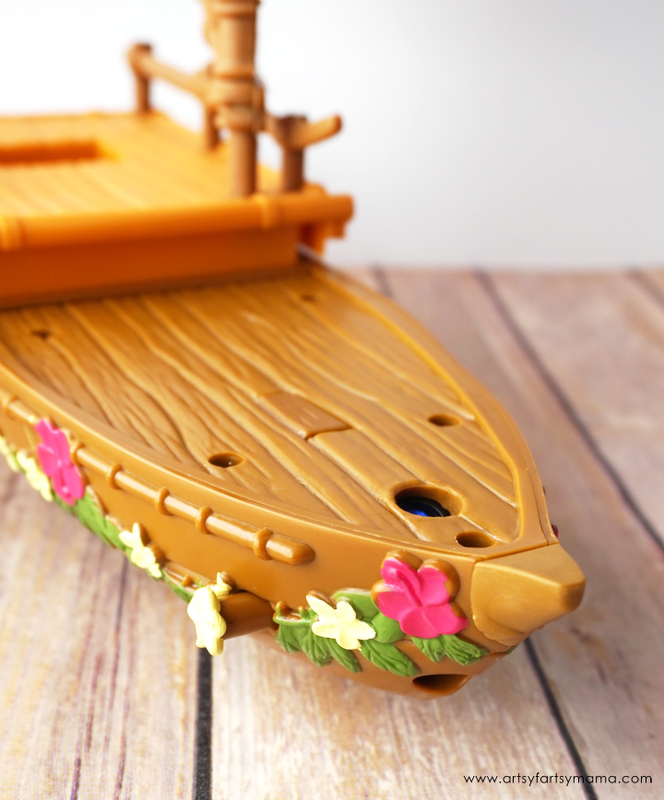 The boat features a gentle rocking action to imitate the motion of the ocean (NOT recommended for actual water play), and Moana and her 2 best friends can find their way by starlight using a projector from the front of the boat! 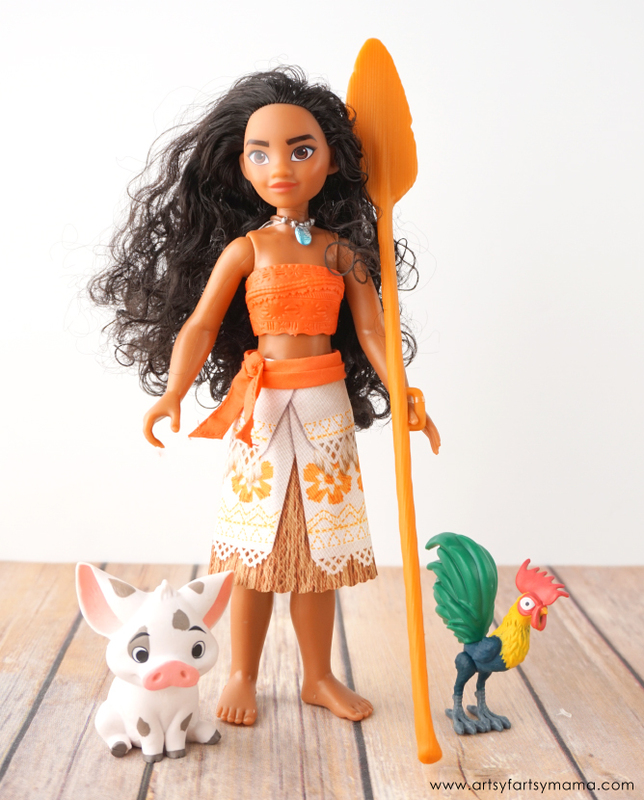 Moana of Oceania and her friends Pua and Hei Hei look just like their on-screen characters and are a high quality. 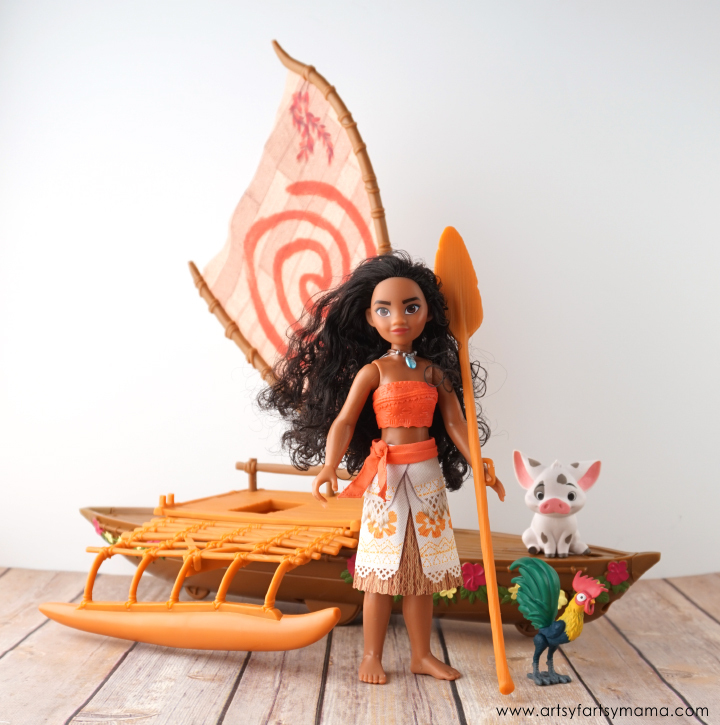 The Moana doll has bendable knees, and gorgeous, curly hair. Her clothes, which are a fabric/faux grass skirt and plastic top, are removable. She's also got her iconic seashell necklace, which also comes off. While the canoe is absolutely stunning with its colorful plumerias and attention to detail, the coolest part is definitely the built-in projector. 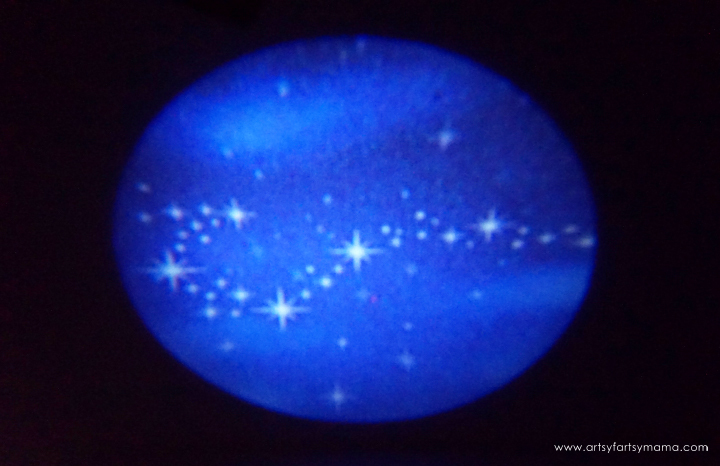 With the push of a button, you can help Moana find her way using the constellations. Turn the flower turn-dial to adjust the projector to shine starlight on the wall or in front of the boat. In the dark, the starlight shines bright and shows the brilliant constellation! It also shows up well in daylight, but it shines brightest in a dark or dim room. Moana is playing non-stop at our house, both on and off screen due to my daughter spending countless hours playing with this set! You can purchase this set for $49.99 from Hasbro Toy Shop. 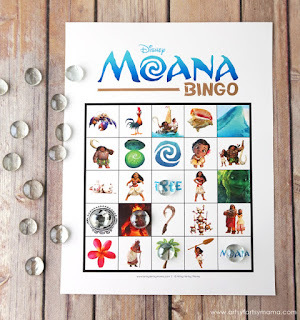 Free Printable Moana Bingo and Moana Ocean Slime! Who's your favorite Moana character?